Last week's photo reminded me of another time I that I saw a sign listing toast. 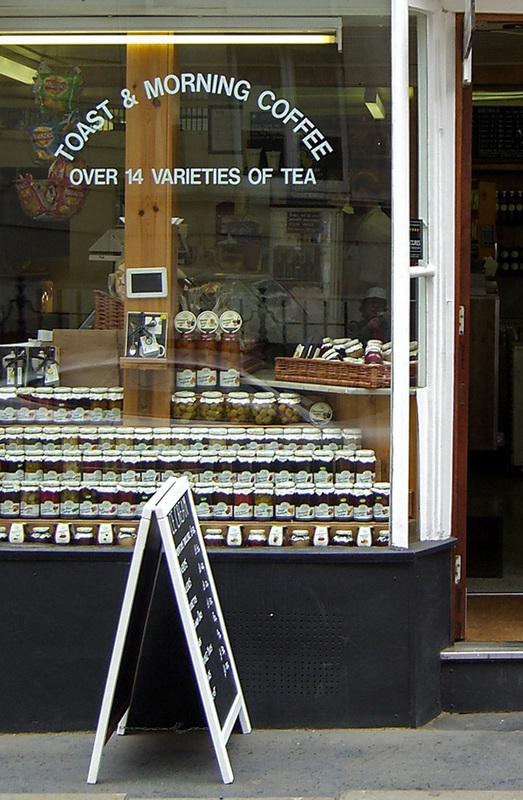 Along the Marylebone High Street there is a purveyor of jams, jellies, pickles and mustards. I think it is interesting that tea plays second fiddle to the arc of lettering, like a rising sun, offering toast and coffee. Judging by the plethora of jams lined up in the window, the most difficult decision of the day might be choosing what to spread on that toast when it arrived.